The Vancouver Chamber Choir is Canada's outstanding professional vocal ensemble. 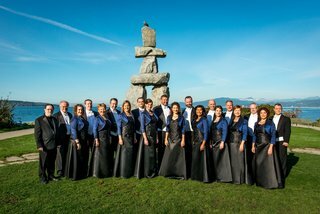 Based on the Pacific Coast in British Columbia, conductor Jon Washburn and his twenty singers are noted for their diverse repertoire and performing excellence. The ACDA Choral Journal has declared the VCC to be "as fine a vocal chamber group as any in the world today." In 1998, the VCC and Jon Washburn won the Margaret Hillis Award for Choral Excellence for their outstanding contribution to the choral art. Mr. Washburn and the Choir were honoured with two awards at the 2000 Chorus America Conference, including the prestigious Louis Botto award, given in recognition of Washburn's innovative and entrepreneurial spirit in the development of a professional choral ensemble of exceptional quality. The Choir impresses audiences with the depth and range of its repertoire and interpretive skills. Their concerts might encompass a range of music, from chant to folksong, traditional to avant-garde, a cappella to orchestra, to jazz trio. Jon Washburn is noted for devising innovative and fascinating programmes, and unearthing hidden choral treasures. The singers, who delight in acquiring foreign language skills, have thus sung in over 35 languages. A leading advocate of Canadian music and composers, the Choir has commissioned and premiered more than 170 new choral works in the last 30 years. 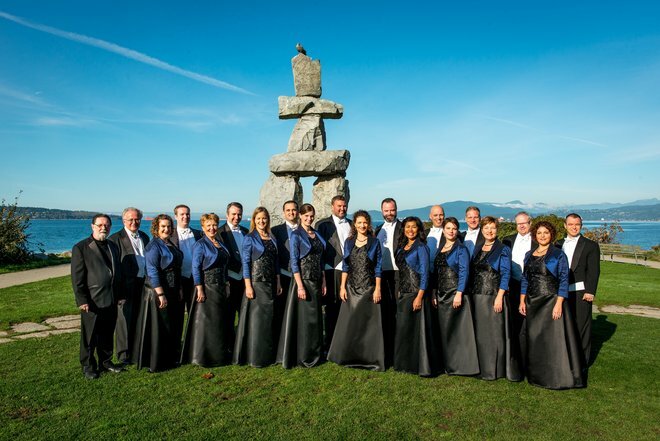 The Vancouver Chamber Choir has been performing at home and across Canada since its formation in 1971 by conductor Jon Washburn. The ensemble has gained international distinction through tours to the United States, China, Hong Kong, Finland, Russia, Ukraine, Estonia, Latvia, and Lithuania. In 1994, they sang in South Korea and Japan, where they were awarded gold medals and the overall Grand Prize in the 11th Takarazuka International Chamber Chorus Competition. During the summer of 1997, the Choir completed a highly successful tour of Germany, France, and the Czech Republic. In March 1999, they were featured guests at the National Convention of the American Choral Directors Association, where they performed to an audience of 6,000 of their peers. During the 2002-2003 concert season, the Choir performed in Latin America's most prestigious festival, Festival Cervantino in Guanajuato, Mexico, and in the 2002 Taipei International Choral Festival. In 2004, the Choir received an invitation to participate in the Tokyo International Performing Arts Festival. In addition to touring and a busy season of concerts, broadcasts, and recording in Vancouver, the Choir offers an annual array of educational programmes: the National Conductors' Symposium for advanced choral conductors, Interplay workshops for choral composers, Focus! for college and university music students, OnSite for elementary and secondary schools, Neverending Song for elementary students, the biennial Young Composers' Competition, and various on-tour residencies and workshops. 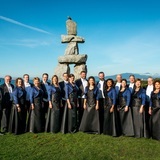 The Vancouver Chamber Choir sings frequently with distinguished artists and ensembles such as The King's Singers and Chanticleer, the Stockholm and Moscow Chamber Choirs; conductors Eric Ericson, Frieder Bernius, Tonu Kaljuste and Andrew Litton; singers Ben Heppner, Maureen Forrester, and Ian Partridge; guitarist Paco Pena; the Canadian Brass, Ancient Cultures, and the Turtle Island String Quartet; and many others. They can be heard on CBC radio in Canada and have been broadcast on National Public Radio's The First Art in the United States. They have released over 40 recordings and CDs, including several devoted to Canadian composers such as R. Murray Schafer, Imant Raminsh, Stephen Chatman, Healey Willan, and Jon Washburn.